Most customers are familiar with common o-ring materials such as Silicone, EPDM, Nitrile (Buna-N), and Viton® (FKM). While these materials represent the most common types of commercially available sealing elastomers, there are many other more exotic seal choices for specialized applications. 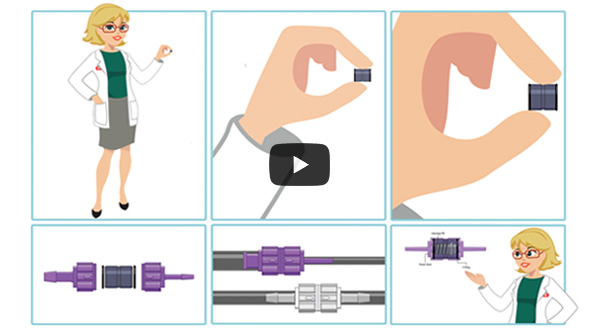 As previously mentioned, Viton® is an extremely common sealing material, but did you know that there are ten different grades of Viton® material available? The most common is the general-purpose A grade. However, Chemours, a fluoroproducts and chemical solutions company, manufactures many other grades that offer improvements to chemical resistance and low temperature flexibility. Of these grades, the most important materials of note are the Viton® GFLT and Viton® ETP grades. Viton® GFLT is an extremely versatile material in the Viton® family. It offers reasonably low temperature flexibility, coupled with extremely good chemical resistance. Thus, its cumulative performance makes it a good choice for general purpose applications, where low temperature and chemical resistance are critical. The other exotic grade of Viton® available is the ETP grade. Viton® ETP is unique in the Viton® family, as technically it’s classified as a fluorinated ethylene propylene (FEPM) material, while all other grades are considered to be FKMs. Also, a common misconception is that fluorine content relates to chemical resistance. While for other grades this notion is true, Viton® ETP actually has less fluorine content versus Viton® GF, but it also has better chemical resistance. Although costly, Viton® ETP is frequently substituted for far more expensive perfluoroelastomers. Chemours is not the only supplier of fluorocarbon materials. Several other companies offer some specialty fluorocarbons that offer unique abilities. Of these, there are two types of materials can be considered exotic. The first of these is the VPL FKM materials offered by Solvay. This company offers extremely low temperature fluorocarbon materials that have competitive chemical resistance in comparison to the more chemical resistant grades offered by Chemours. The advantages of Solvay’s VPLs arise due to their proprietary Meth Oxy Vinyl Ether (MOVE) polymer structure technology. This structure allows the VPL materials to have good low temperature flexibility from -30°C to -40°C (depending on the grade). This temperature is extremely low for a fluorocarbon material. Another exotic grade of fluorocarbon material is Aflas®, which is only produced by the Asahi Glass Company of Japan. Aflas® is exotic because it offers some rather unique chemical resistances, coupled with reduced costs in comparison to other extreme duty materials. For example, Aflas® is extremely resistant to highly basic and amine-based chemicals, making it an extremely popular material in chemical processing and sour downhole applications. Due to their extremely broad chemical resistance, FFKMs are popular for use in applications where the customer end-use isn’t defined. Thus, whatever the customer may run through the application, the seals will remain viable and resist chemical attack. DuPont is the most popular manufacturer of FFKM materials, with their Kalrez® line. However, other suppliers offer their own FFKM grades which should offer similar levels of performance. At Smart Products USA, we are currently experimenting with the sealing performance and components compatibility of new o-ring materials in our 300 series line of check valves. The o-ring is one component of our valves that we can flexibly work with to ensure maximum performance for the most straightforward or complex systems. Combined with plastic body material and opening spring pressures, we have millions of possibilities to create the right valve for you. To get started, visit us online at www.smartproducts.com or call (800) 338-0404. Click here to watch 30 second video highlighting our Series 500 Miniature Modular Check / Pressure Relief Valves. For questions or to create your own customized Series 500 check / pressure relief valves, contact a Product & Application Specialist at (800) 338-0404 or sales@smartproducts.com. To view a PDF of our entire product catalog, click here. Visit us at D2P Marlborough, MA! 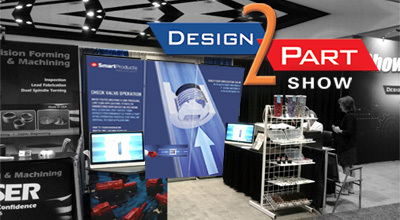 If you're in the New England area on September 26 & 27, visit us in person at the Design-2-Part Manufacturing Tradeshow. Held at the Royal Plaza Trade Center in Marlborough, MA, we can be found at Booth #237. A Product & Application Specialist will be available to answer questions and offer expert technical assistance face to face for your own unique low flow, low pressure application. For directions or more information about the show, click here.